Passion, patience, and a deep love of detail — that’s where our master craftsmen begin. Our team of veteran craftsmen is devoted to custom tailoring the perfect, synthetic grass space for any desired commercial application. Whatever your vision, we can transform your space into a well-appointed work of art. And you have our word (which is our bond) that the process will be timely, pleasant, and cost-effective. We accept nothing less than 100 percent client satisfaction. Commercial landscapes don’t just happen on their own. Inspired spaces and sustainable garden areas have to be carefully designed. Shaping your commercial landscape design requires a good eye and a honed understanding of how you’d like your space to withstand the test of time. That’s why our team of master installers takes pride in transforming even the most drought-affected lawns into breathtaking landscapes. Wandering our green spaces, you’ll feel as though you’re spending the day in a sophisticated gallery or leisure garden. And once you’ve upgraded the aesthetics of your property, it will be clear to see you’ve added substantial value and curb appeal to your Southern California commercial property. Invest your saved funds in upping your product development, enhancing your advertising, and improving your customer service. Allow Back Nine Greens to transform your space and help you grow your business. Impress every client who knocks on your door with an evergreen space that can endure any drought. Please note: Our products are highly adaptable and can be designed to create recreational spaces of all shapes, sizes, and budgets. When it comes to sports, you may not realize they have more in common with fine art than one might think. The love of the game always conjures up emotion, engages fans in conflict, and forms lasting memories. The best pieces of art can do the same. So, it stands to reason the art of the actual field should support the drama of the game. Back Nine Greens honors the story and importance of sports in our culture and history. And whether you’re looking to enjoy a new golf course or install synthetic turf on your pro-grade football field, our artisan installers can help you design and construct the field of your dreams — no matter your budget! 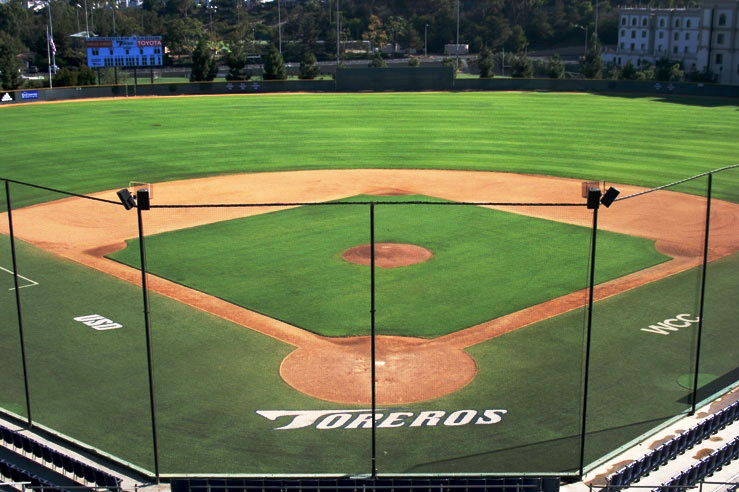 No matter the shape or size of the field, no matter the game, our synthetic sports field turfs will blow your mind. Play like the pros on our fields and let our hardworking, reliable craftspeople create your fully customized playing area. Back Nine Greens are brilliant and always-green — no doubt our grass products look and feel as soft and pliable as natural grass. Coordinating large-scale construction projects is no easy feat. That’s why Back Nine Greens values our relationship with the best local landscape contractors and architects. We value true collaboration and are happy to share our expertly-crafted artificial turf with the most reputable contractors at an incredibly cost-effective price. Add art to your next construction project and let Back Nine Greens support you with the largest and most affordable selection of faux turf applications in the industry. We are Southern California’s go-to synthetic lawn supplier. We’ll provide you with cutting-edge turf products to help you accentuate your residential and commercial projects. When it comes to high-end synthetic grass that appears to be real and mimics natural grass, Back Nine’s luxury greens are the most versatile and durable artificial grass products on the market. And our detail-oriented artificial grass and faux lawn designers and installers are eager to collaborate with contractors and architects to make memorable commercial and residential spaces that attract attention and stand the test of time. Teddy Roosevelt said “play is a fundamental need,” and he was right. 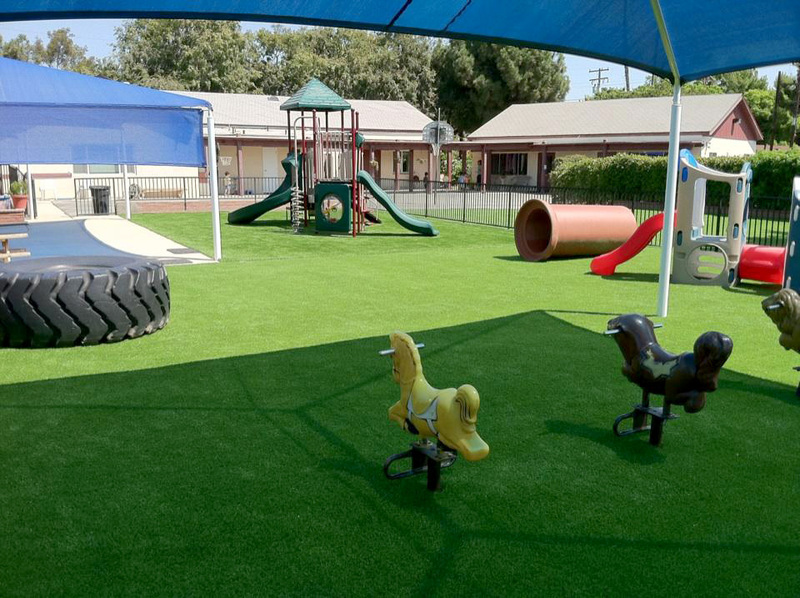 And what better terrain for playgrounds than soft and inviting synthetic grass. 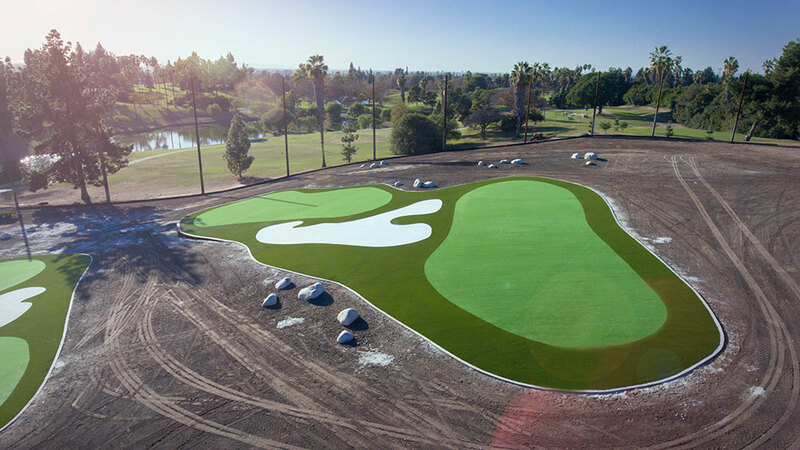 Back Nine Greens prides itself on creating safe and inviting backyard play areas, fun and friendly playgrounds in schools and daycares, and exciting faux green areas in children’s activity centers and municipal parks all over the golden state. No matter your age, you’ll love the plush, spongy feel of our premium artificial turf. You’ll never stain your knees and your kids won’t tear up the lawn — even at their most adventurous. Also, our faux lawns can absorb extra impact with special padding added as a bonus safety feature. Furthermore, Back Nine Greens’ state-of-the-art imitation lawns are 100 percent recyclable and lead-free — so they’re super safe and non-toxic to humans and animals. A clean surface free from mud, dirt, and grass stains! Go with green and give your kids a chance to fill their days with good, clean, safe fun day in and day out.